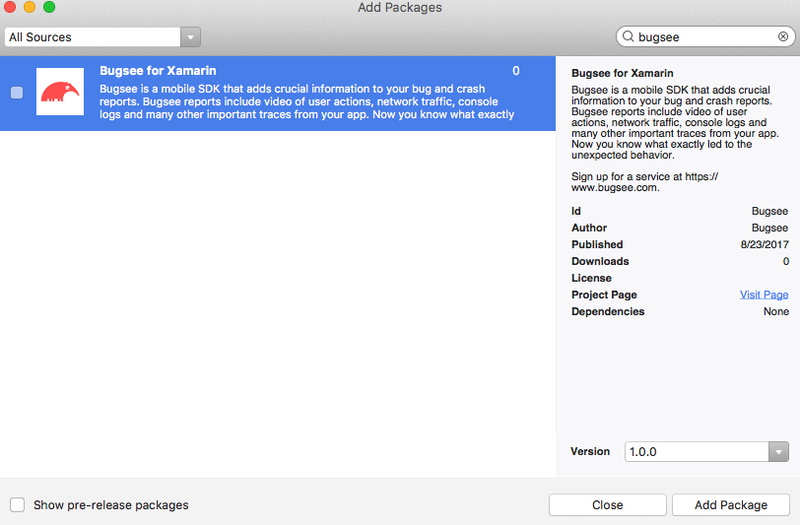 Xamarin plugin is currently supported on iOS, Android and Xamarin.Forms platforms. 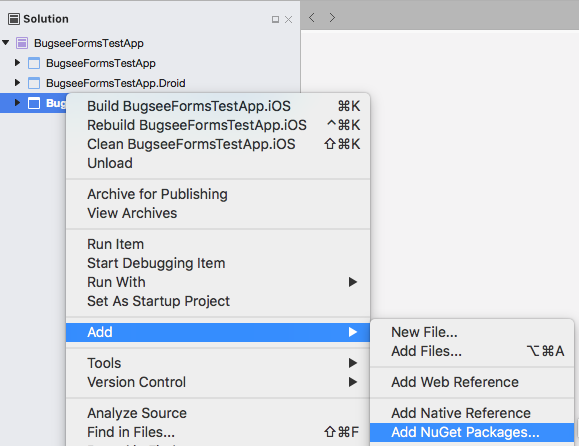 The recommended way to install Bugsee is using NuGet. Note: We've found NuGet package installation issues in some versions of Visual Studio where some of the DLLs are not referenced correctly. If you are facing similar issue, try updating Visual Studio to the latest version. Open your solution, select the project you want to add Bugsee package to and open its context menu. Unfold "Add" and click "Add NuGet packages...". Type "Bugsee" into search field, select Bugsee package and click "Add Package" button at the bottom right. When possible, Bugsee provides unified API across platforms for accessing Bugsee features. Initialization, on the other hand, has minor differences on iOS and Android platforms.